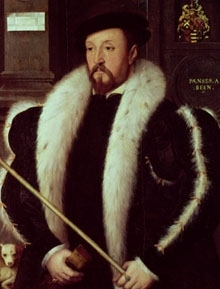 Thomas Vaux, 2nd Baron Vaux of Harrowden was born on 25 April 1509.1 He was the son of Nicholas Vaux, 1st Baron Vaux of Harrowden and Anne Greene.1,3 He married Elizabeth Cheney, daughter of Sir Thomas Cheyne and Anne Parr, from 25 April 1523 to 10 November 1523.1 He died in October 1556 at age 47. From from 25 April 1523 to 10 November 1523, her married name became Vaux. 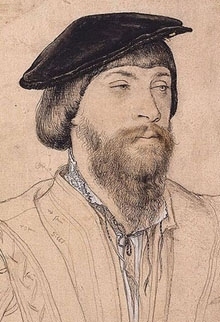 After her marriage, Elizabeth Cheney was styled as Baroness Vaux of Harrowden on 14 May 1523. [S6] G.E. Cokayne; with Vicary Gibbs, H.A. Doubleday, Geoffrey H. White, Duncan Warrand and Lord Howard de Walden, editors, The Complete Peerage of England, Scotland, Ireland, Great Britain and the United Kingdom, Extant, Extinct or Dormant, new ed., 13 volumes in 14 (1910-1959; reprint in 6 volumes, Gloucester, U.K.: Alan Sutton Publishing, 2000), volume III, page 193. Hereinafter cited as The Complete Peerage. [S394] Redgrave Family, online http://dcodriscoll.pbworks.com/Redgrave_(I). Hereinafter cited as Redgrave Family. [S5672] Fiona Mitford, "re: Fox Dynasty," e-mail message to Darryl Roger LUNDY (101053), 21 October 2011. Hereinafter cited as "re: Fox Dynasty."